The two main risks in this project are inhalation and heat. Many of the materials pose a risk if inhaled and while it’s somewhat difficult to inhale a brick the castable refractory (before cast) and the ceramic fiber is a different story. During installation a quality respirator was worn during the risky times including any and all work with the castable refractory in powder form, cutting or working with the Cerablanket and fiber board products, cutting the IFB, and mixing the kiln wash. Furthermore, gloves were worn especially when handling the fiber products. The heat risks required more planning. There are two risks associated with heat; radiant heat and conducted heat. For conducted heat gloves were used. Leather-lined welder’s gloves were used for anything less then a few hundred degrees and especially when more dexterity was needed. For other times a glass blend cloth glove was used. These were rated for 1000F. Both glove types worked well for their requirements but the glass blend gloves did not hold up well mechanically. As a precaution all cotton clothing was worn including cotton jeans and a cotton winter coat. It is important to not wear clothing that could melt in the event that the clothing did come into contact with a burning coal for example. 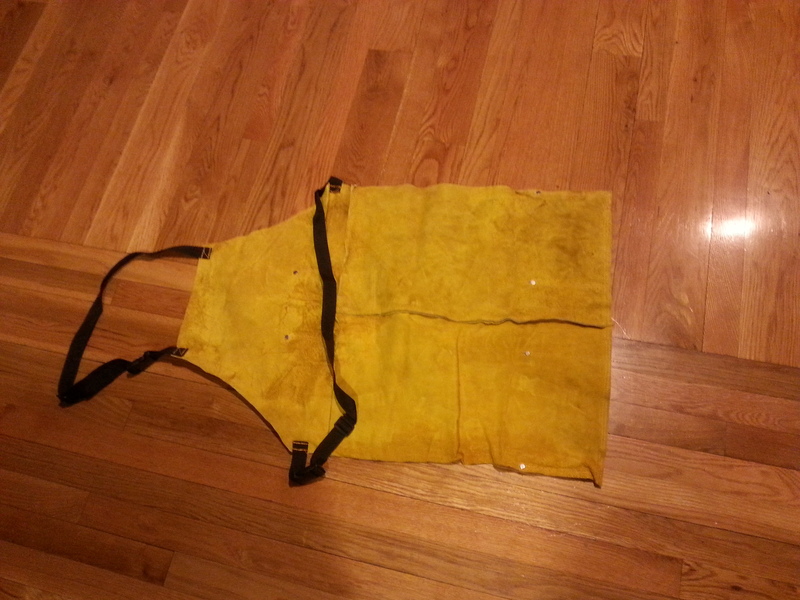 For radiant heat protection a welder’s helmet was used along with a very creative radiant shield apron. 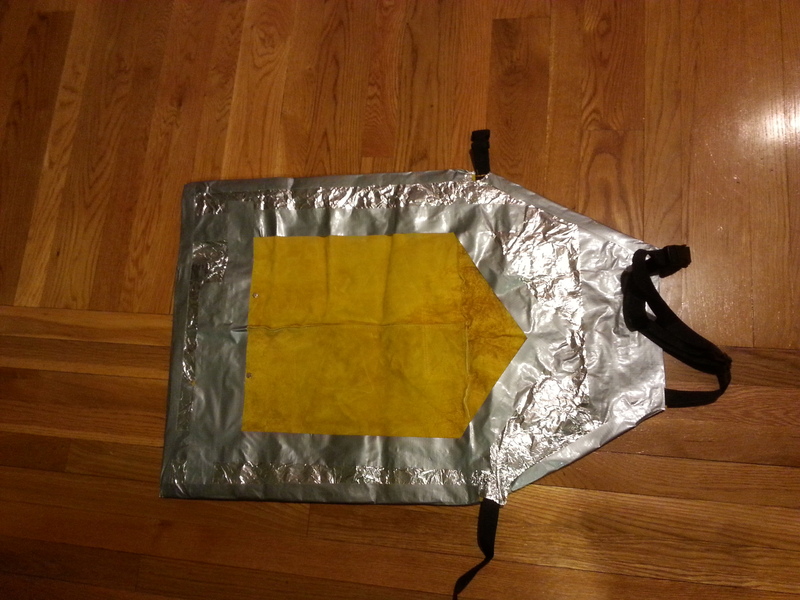 No radiant shield aprons were available locally so a leather welder’s apron was purchased and lined with aluminum foil! It did work just fine but ripped a few times. 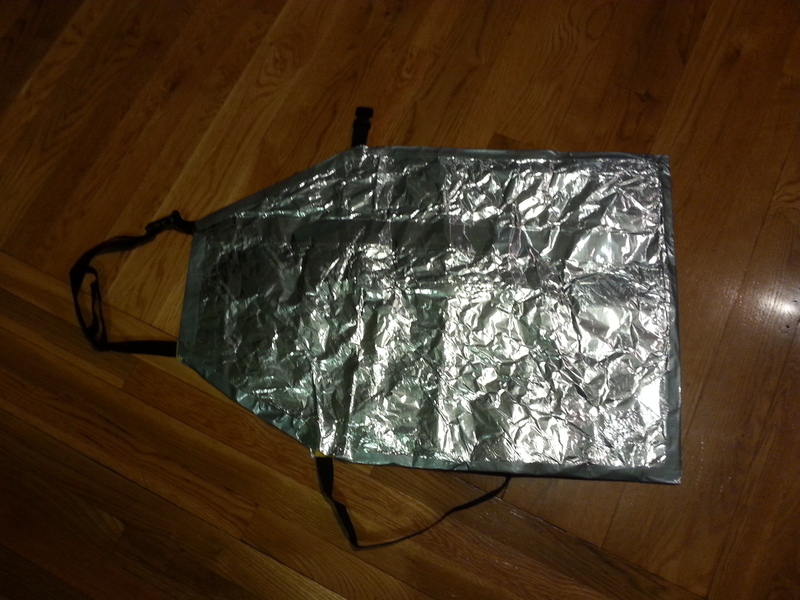 For the next time an aluminized apron and a full vision radiant face shield will be purchased.